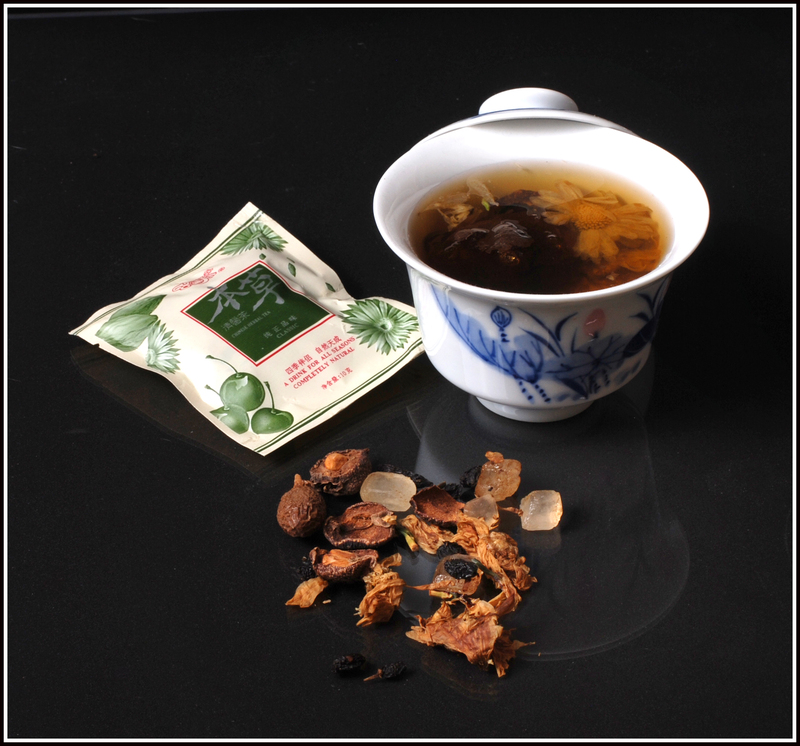 Herbal teas are very common in China. They are also available in tea houses or for purchase in small packages with a particular blend. A typical tea will have dried flowers, seeds, fruits and leaves (including pine needles). Sometimes it contains rock sugar (solid pieces of sugar) as observed in the picture above. Most of them are caffeine-free. The tea is brewed with hot water in this cup where the lid is put on the top to keep it hot. After drinking the tea, it is replenished with hot water few times. It is usual to eat the fruits after drinking the tea. Some fruits are sweet and others are bitter. These teas are aromatic and refreshing. 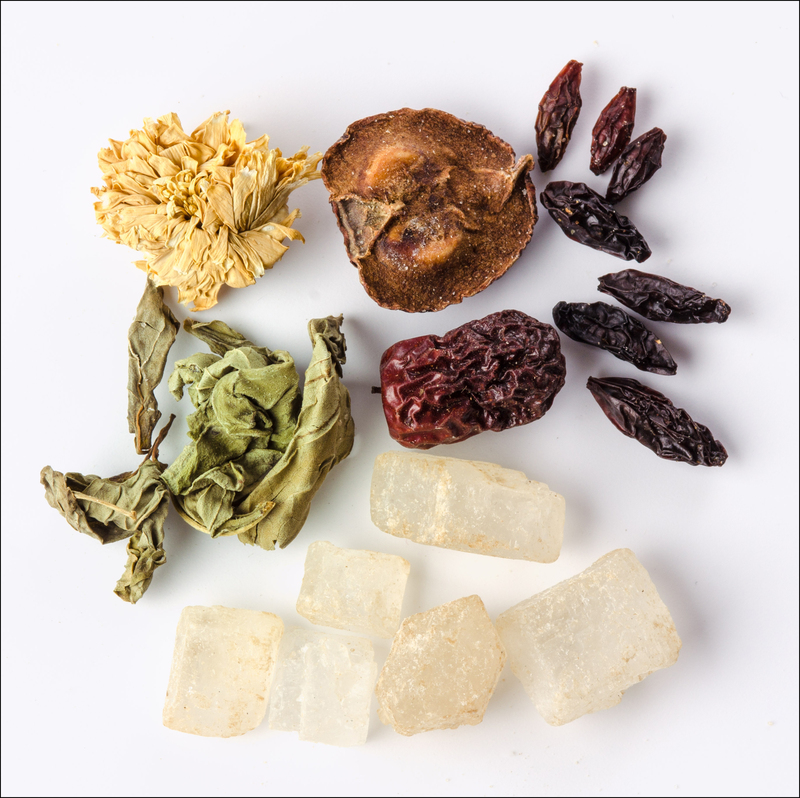 Each one has a peculiar aroma and taste, which makes the tea experience always unique.